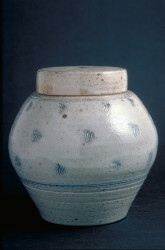 Crafts Council Purchase Information Sheet completed by Sarah Walton for her 'Lidded Jar' (P253). 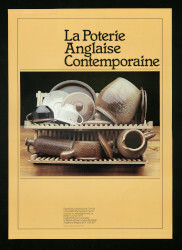 This document records that this object was included in Domestic Pottery, the 1979 Crafts Advisory Committee touring exhibition to France. Responses are handwritten in black ink. Signed and dated 8 January 1981.